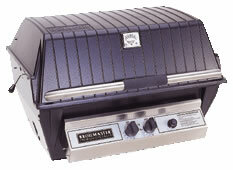 The P3 Grill Head feature the stainless steel bowtie burner that delivers 40,000 BTU of uniform heat. The P3 offers 695 square inches of total cooking area. Beyond that, you choose the model and options to suit your cooking style and budget - porcelain-coated cast iron grids or stainless steel rod grids, flavor screen or Charmaster Briquets. Available in LP with Conversion Kit or in Natural Gas. 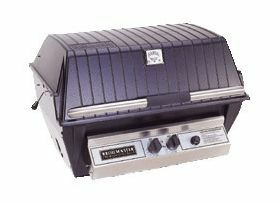 • P3 grill head has 695 square inches of total cooking area with 2-Piece Porcelain-Coated Cast Iron Cooking Grids that adjust to 3 levels to allow for grilling, backing and warming at the same time. • Heads available in Black only. • Available in Natural Gas and Propane. • Standard Charmaster Briquets. Optional Stainless Steel Flavor Screen.